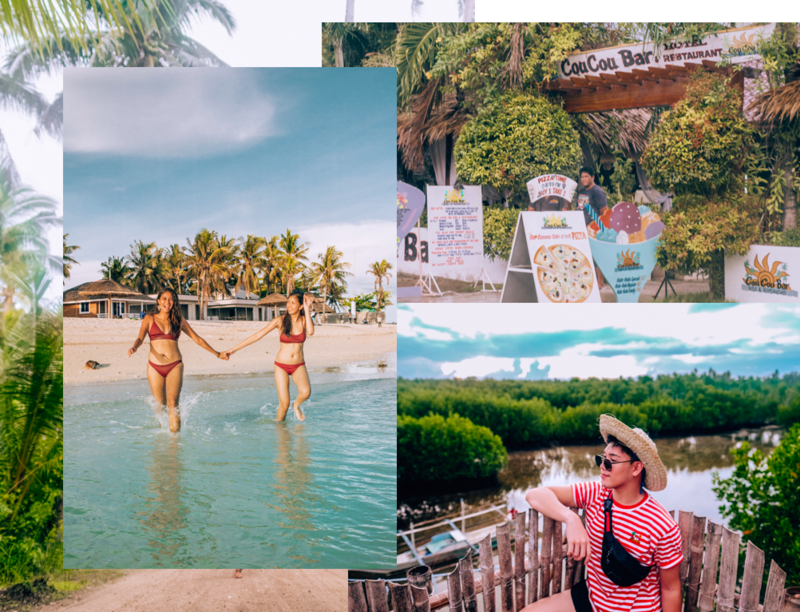 After being out of the country for a while, it’s always refreshing to come back to the beauty of the Philippines and for this blog, I’ll be showing you the Island of Bantayan. In this guide, I’ll show you how you can explore the island for just the weekend. 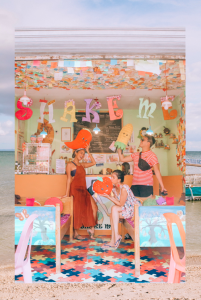 The fresh air, the tropical heat, the sandy beaches, and the chill, simple life– You may have heard about the place from the recent movie, Camp Sawi, that was filmed in its namesake on the island. In reality, Bantayan is a small island located just northwest of Cebu. In its pre-colonial history, Bantayan’s natives seldom traveled away from their hometowns and in the present, I understand why! 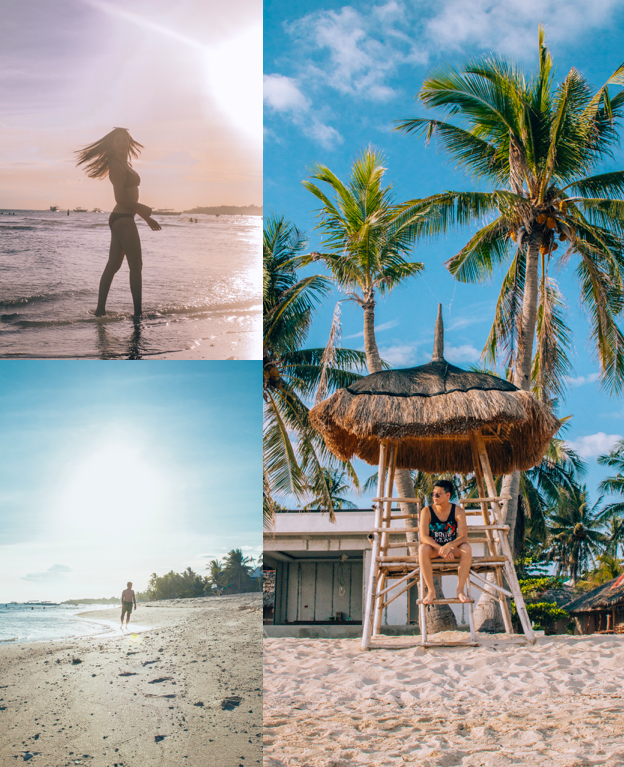 Bantayan is a place you wouldn’t wanna leave— with the whitest of white sands enveloping your soles (and your soul!) as soon as you arrive, and inviting you to stay just a little while longer. Take a bus from the New Ceres North Terminal heading to Cadiz. The trip will take around 1.5 or 2 hours depending on traffic. Next, take a tricycle from the Ceres Terminal in Cadiz to the new Cadiz City Port in Banquerohan. From there, a motorboat will take you to Bantayan Island in approximately 3 hours. Finally, take a tricycle to your resort for P20-25 depending on the destination. If you pre-arranged transport with the hotel or resort, they’ll send a driver over to pick you up at the port. Note that from the Cadiz Port, the ferry only departs and leaves at only 9:30 am. Take The bus from the North Ceres Terminal (via Hagnaya) going to Hagnaya Port. It is a 4 hour drive. Fare costs around 225 Php for an aircon bus and 170 Php for a non aircon one. Once you reach Hagnaya Port, ride the ferry going to Bantayan. 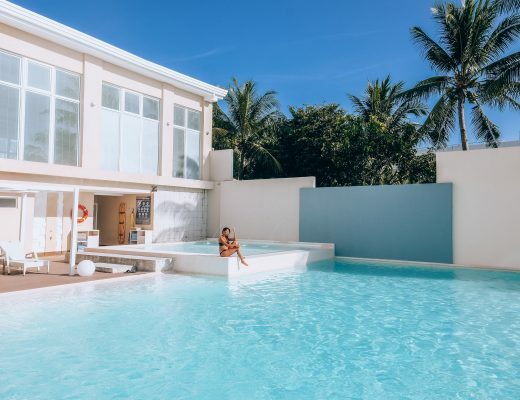 Out of over 400 accommodations, it was really difficult to decide where to stay in Bantayan. 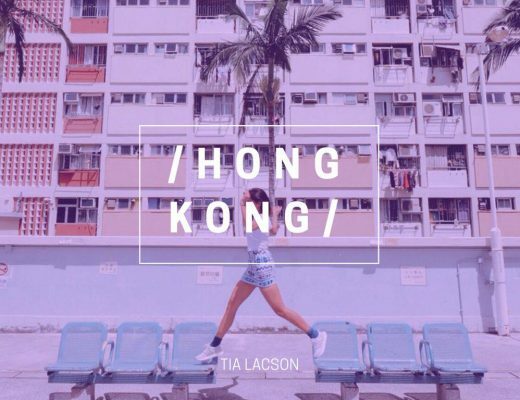 Listed below are the Top 5 Reviewed accommodations on booking.com and ranked from most to least expensive, so you can choose the place that best suits your tastes. 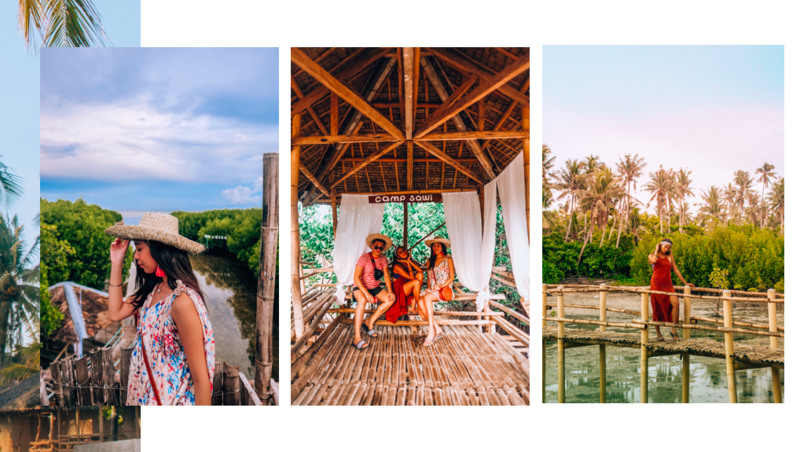 We ended up staying at Bantayan Huts for the low price of 1,800 for 4 pax! It’s already a great price considering it was a beachfront property. Also, it was so peaceful and we felt like we owned the place because there weren’t a lot of other tourists. 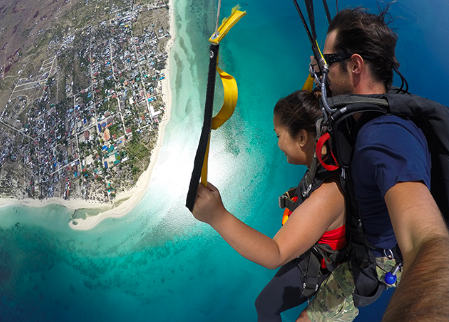 Skydive at Skydive Greater Cebu, Sta. Fe. This is well-recommended for first-timers. Brad and his wife will guide you through the whole thing and you’ll soon have skydiving off of your bucketlist! 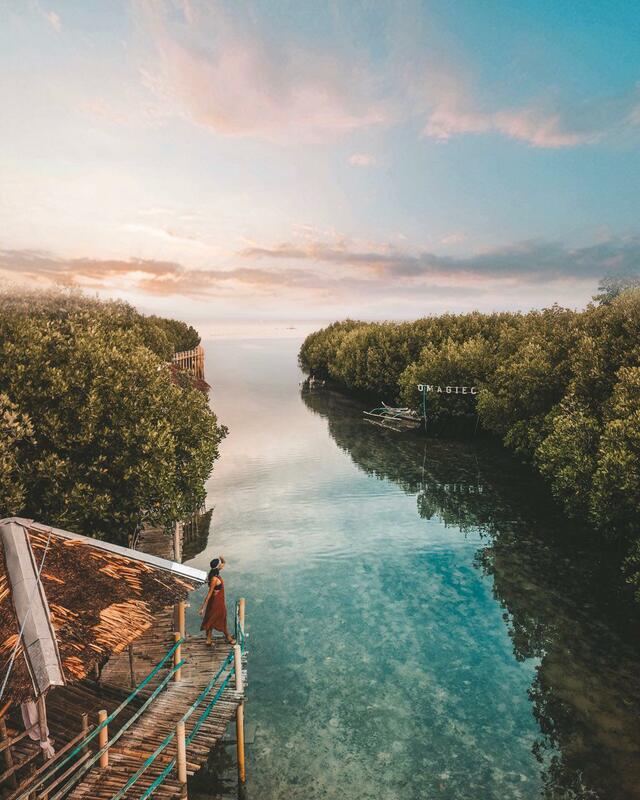 Visit Oboob Mangrove Eco Park a.k.a Camp Sawi – For an entrance fee of 50.00 Php, you can walk along the mangroves and bamboo bridges that leads to an amazing sunset view. The park has huts that allow you to chill at and an amazing lookout point that shows an amazing landscape. 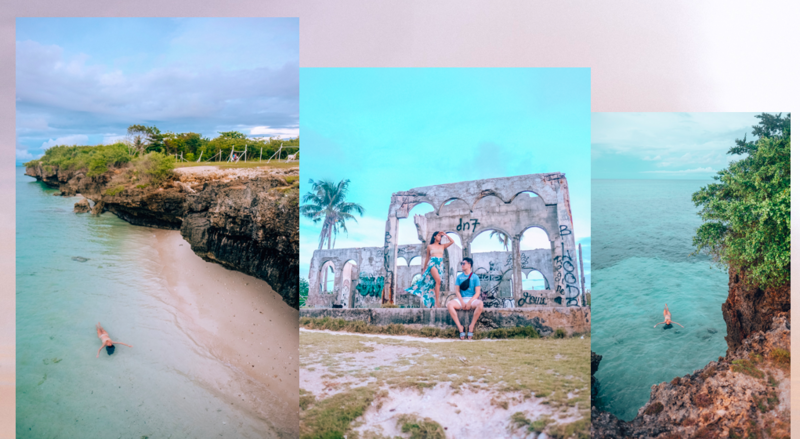 This is where the famous Filipino Movie “Camp Sawi” was shot and it’s one of the most visited places in Bantayan. Lounge at Budyong and Kota Beach. This is their public beach and you can get here by just biking around. Bring a book, a beer and your best friends and you are good to go! Budyong Beach is just on the other side of Kota beach so you even get to check two beaches in one! Other Beaches in Bantayan you may choose to visit are: Amihan Beach, Marlin’s Beach, Paradise Beach and Virgin Beach. Check here for other Beaches in and near Bantayan. Bike Around and Explore the Island Life. Mostly this is what we did since this is the best way to see the island. Treat yourself at the Virgin Island. 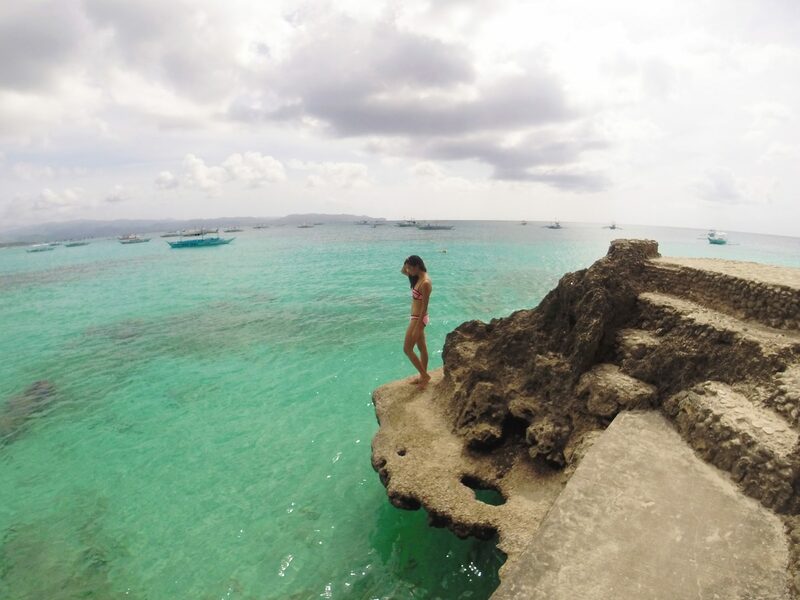 One of the most popular places in Bantayan is the Virgin Island. 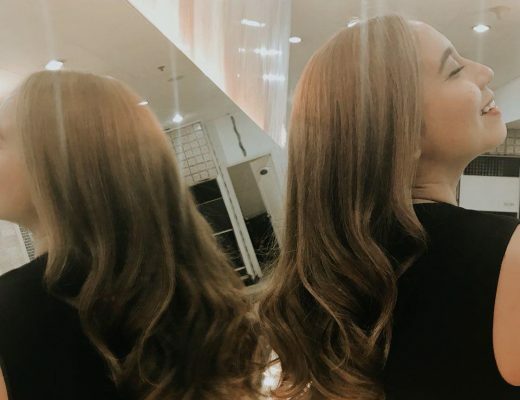 The transportation and entrance fees are a bit on the pricier side but once you get there, you’ll realize why it’s worth the splurge! Catch the Sunrise for an Empty Beach at the Cliff Jumping Spot in the German Ruins. This was what we did during our last day. Since the boat leaves at 9:30 am, we went there to witness the sunrise and stayed around 7 to swim a little. You can visit anytime of course but we liked it when we had the place all to ourselves. There is no entrance fee but you can also hire an trike driver to bring you here. Flutter around the Santa Fe Butterfly Garden. This was the creme de la creme of the trip. 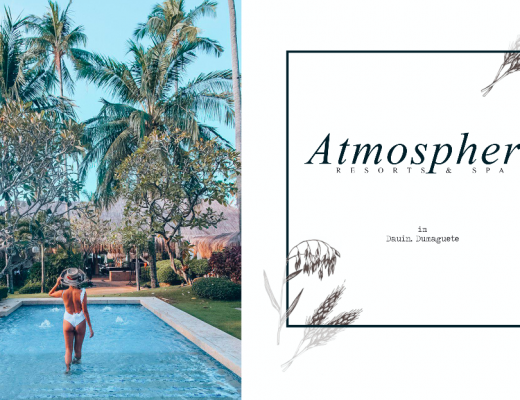 It’s an enclosed tropical paradise with 22 different species of the beautiful butterflies that complements Bantayan’s natural beauty. Try the Amazing yet cheap food at Big Jel’s Resto. We loved to food so much we ate here everyday! I suggest to try their buko shake, scallops and fried chicken. Prepare for extra rice since you’ll want to order more, Swear! Stop for Sweets at Shake Me at MJ Square. I had such a refreshing time in the middle of biking and right after lunch when I tried their fresh fruit shakes. Sharing it here because I want you to try it as well! One of the best things to do and the best way to get around the island is to bike around. Honestly, we were really lucky that our resort had bikes for rent so we could go grocery shopping easily. On our last day, we woke up early to catch the sunrise by the cliff. We also visited the ruins and the graffiti wall to maximize our stay. Since it was only a weekend trip, we didn’t get to go to all the places we wanted to visit. But, I did get to vlog about our trip and you can watch it on my Youtube channel right now! 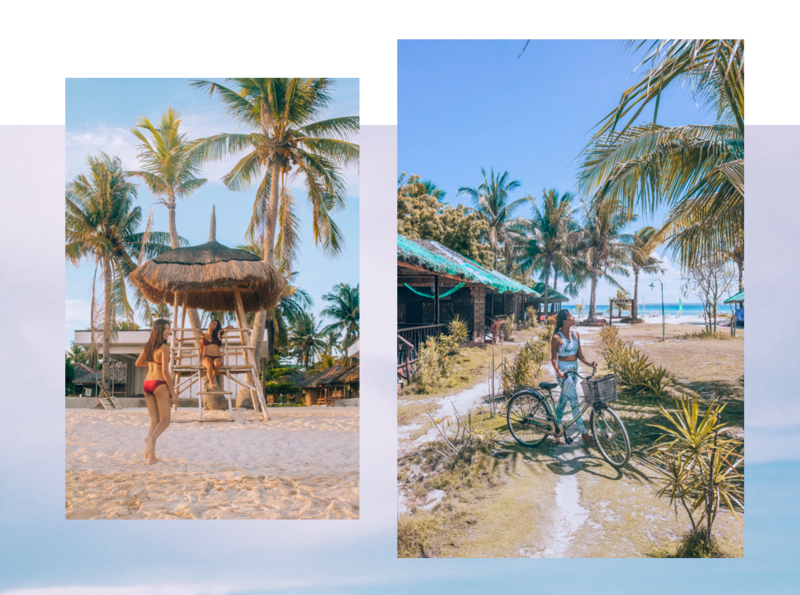 This was also my first time in Bantayan and I can tell you now that I wish we could’ve stayed longer! Well, I’m sure we’ll come back again soon for more. If you have any suggestions for resorts or islands in the Philippines that we can visit next time, comment them down below!